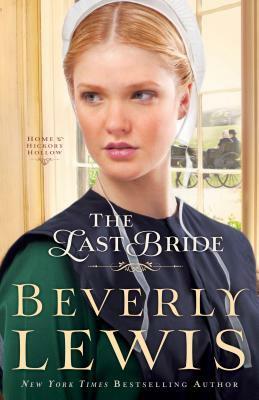 "Come home to Hickory Hollow, Pennsylvania--the beloved setting where Beverly Lewis's celebrated Amish novels began--with new characters and new stories of drama, romance, and the ties that draw people together. In this final installment of the Home to Hickory Hollow series, we meet Tessie Ann and her family and the trouble that ensues when she goes against her father’s wishes and loses patience with God. It was shocking to read of her loss and even more shocking to find out her gain. The plot line is what provided suspense and incorporated a great many emotions. The main drawback and trouble I found was how fast paced everything was, which made the situation a little less credible. It’s hard to believe that she could go through that great degree of grief to a high level of happiness with another marriage in less than a year. I don’t care what Amish traditions are assumed, Tessie Ann did not need to rush into another marriage that soon. A few times I found Tessie Ann’s character frustrating as she continued to hold her tongue on the secret marriage and waited the last minute to tell of her other secret. This only made her punishment worse, to the point of where people wouldn’t believe her. She also immediately gave up looking for proof of her marriage, when she could have approached Marcus’ family to at least inquire about his journal, as they knew she was his beau. In all, although there were some frustrating parts and the plot was over-paced, I still found the novel enjoyable as it added to the story’s suspense. I’ve had a wonderful time meeting these different people of Hickory Hollow and am very pleased with this conclusion. The Secret Keeper was my favorite of the series, as I feel I learned more about the Amish culture. If you’re a fan of Amish, Christian or Beverly Lewis’ other works, you’ll find yourself in good standing with this book and series.